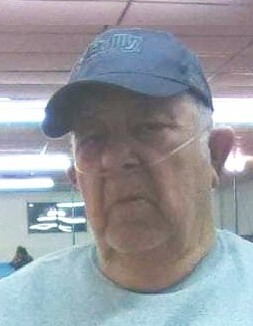 Alva "Alvie" Carl Collins, 82, of Lisbon, passed away at his home, Tuesday, January 15, 2019, following a lengthy illness. Born, January 10, 1937, in East Liverpool, he was a son of the late Lewis Earl and Sheba Oda Adkins Collins. He was preceded in death by his sister Gloria Sprout and brother David Collins. He is survived by his brother John Collins of Wellsville. Alvie worked for many years as a Heavy Equipment Operator and Coal Miner. He was a devoted husband, father, and grandfather and was a true animal lover. He is survived by his loving wife of 54 years, Judy Talbott Collins; son, Carl Lee Collins and his wife Jodie of Glenmoor; daughters, Judy Stevens and her husband Scott of Lisbon and Lisa Fix and husband Eddie of Lisbon; grandson/son Phillip Collins, who was raised by Alvie and Judy; grandchildren, Jessie Brown and her husband Sam, Brandon Fix and his wife Chesney, Kaitlyn Collins and Randy Collins; great-grandchildren, Audrey Fix and Logan Stevens.